Grand Ayatollah Sayyid Ali Hussein Sistani is the prime marja, or spiritual reference for Ithna’Ashari‘a (Twelver) Shia Muslims. He is the leading sheikh of the Hawza Seminary in Najaf, Iraq and the preeminent Shia cleric globally. 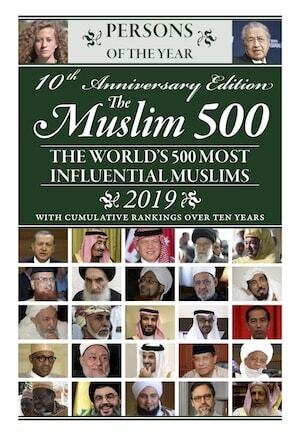 Sistani is one of the most respected of the marjaiyya—the highest position of authority in the Usuli school of Twelver Shia fiqh. Preeminent Shia Cleric and Marja Taqlid: Sistani’s influence in the Twelver Shia sect stems from his scholarly lineage and education, which have enabled him to reach the status of marja taqlid—the highest status in the Usuli branch of Twelver Shia Islam. Marja taqlid means literally one who is worthy of being imitated— placing Sistani in a position of great authority over Twelver Shia Muslims. Sistani is descended from a family of religious scholars, and was educated in the leading institutions in Iran. He later went to Najaf, Iraq to study under the Grand Ayatollah Abu al-Qasim al-Khoei. On Khoei’s death in 1992, Sistani took over as grand ayatollah, inheriting Khoei’s following. He soon rose to become the leading cleric in Iraq. With the recent opening of Iraqi shrines to Iranian tourists, Sistani is gaining a following outside of Iraq. Financial Influence: Sistani also has very significant financial clout due to his position as marja. As a marja his followers give him a religious tax (khums, Arabic for one fifth). The redistribution of this tax for the common good is one of the key roles of a marja.  Much of this remittance is redistributed through the Al-Khoei Foundation—the largest Twelver Shia development organization in the world that maintains a network of educational and humanitarian establishments for both Shia and non-Shia Muslims. Quietist Influence: Significantly, Sistani is against the idea of Velayat-e Faqih, suggesting Shia clerics should not get involved in politics. Paradoxically this approach has afforded him very strong influence as a religious leader unsullied by politics. Ali Sistani has used his position of quietist authority to wield influence also as a peacemaker in the turbulent post-invasion Iraq. At a time when Sistani was losing support to Sheikh Muqtada al-Sadr, he showed his sway by arranging a lasting deal between Sadr and US forces at the Imam Ali Shrine in Najaf in 2005—a deal that secured the Shrine and pushed for an American retreat. Sistani was vocal about encouraging Iraqis to participate in the 2010 parliamentary elections. He strongly condemned the Baghdad church attack in October 2010 and also advised Iraqi security forces to take more responsibility for the protection of Iraqi citizens. He has strongly supported the prime minister of Iraq, Haydar al-Abadi, asking him to form an inclusive, strong and efficient government. He has also issued strong statements against DA’ISH, calling on Iraqis to unite against the militants. Influence: Highest authority for 21 million Iraqi Shi‘a, and also internationally known as a religious authority to Usuli Twelver Shi‘a. Preeminent Shia Cleric and Marja Taqlid: Sistani’s influence in the Twelver Shia sect stems from his scholarly lineage and education, which have enabled him to reach the status of marja taqlid—the highest status in the Usuli branch of Twelver Shia Islam. Marja taqlid means literally one who is worthy of being imitated— placing Sistani in a position of great authority over Twelver Shia Muslims. There are currently only 29 marjas worldwide. Sistani is descended from a family of religious scholars, and was educated in the leading institutions in Iran. He later went to Najaf, Iraq to study under the Grand Ayatollah Abu al-Qasim al-Khoei. On Khoei’s death in 1992, Sistani took over as grand ayatollah, inheriting Khoei’s following. He soon rose to become the leading cleric in Iraq. With the recent opening of Iraqi shrines to Iranian tourists, Sistani is gaining a following outside of Iraq. Quietist Influence: Significantly, Sistani is against the idea of Velayat-e Faqih, suggesting Shia clerics should not get involved in politics. Paradoxically this approach has afforded him very strong influence as a religious leader unsullied by politics. Ali Sistani has used his position of quietist authority to wield influence also as a peacemaker in the turbulent post-invasion Iraq. At a time when Sistani was losing support to Sheikh Muqtada al-Sadr, he showed his sway by arranging a lasting deal between Sadr and US forces at the Imam Ali Shrine in Najaf in 2005—a deal that secured the Shrine and pushed for an American retreat. 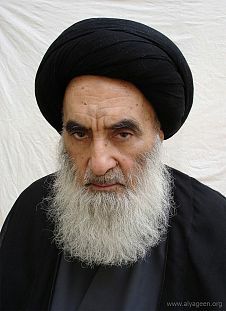 Sistani was vocal about encouraging Iraqis to participate in the 2010 parliamentary elections. He strongly condemned the Baghdad church attack in October 2010 and also advised Iraqi security forces to take more responsibility for the protection of Iraqi citizens. He has strongly supported the new prime minister of Iraq, Haydar al-Abadi, asking him to form an inclusive, strong and efficient government. He has also issued strong statements against DA’ISH, calling on Iraqis to unite against the militants.